A woman’s desperate 911 call from inside the home of her abductor led to the arrest of a man who turned out to be a serial killer, cops in Ohio said this week. 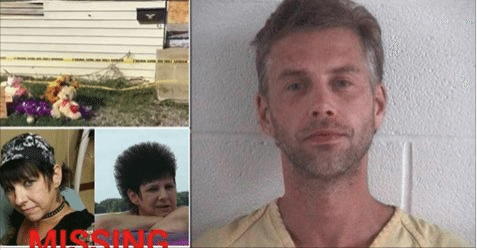 According to Ashland police, the call came Tuesday from inside the home of Shawn Grate, where a kidnapped woman managed to partially untie herself from ropes used to restrain her. 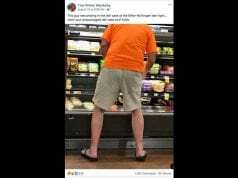 The woman said the suspect had a stun gun and that she’d known him for about a month and a half. At a press conference, Ashland Chief David Marcelli said the woman was subsequently found at a home that was supposed to be unoccupied. Grate was also arrested at the home Tuesday morning. Two dead bodies were also found in the home, cops say. One of the victims was Stacey Stanley, a 43-year-old Huron County woman whose family said had been missing since September 8 after she got a flat tire near the home where her body was found. Police have yet to identify the second body in the home or release Stanley’s cause of death. Officials say Grate later led them to a third body in neighboring Richland County. Richland County Prosecutor Bambi Couch Page said Grate confessed that he had killed a woman in June at a house that was destroyed by fire that month, according to the Mansfield News Journal. Grate was charged in Ashland County on Thursday with two counts of murder and one count of kidnapping. Records in Rockland County showed he has not yet been charged as of Thursday. Grate remains in custody at the Ashland County Jail.